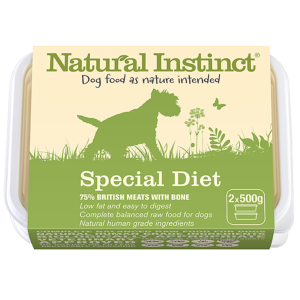 This food is designed for those dogs that have specific dietary needs, such as low fat, low bone and low purine. It is therefore suitable for dogs that suffer from pancreatitis, colitis, and irritable bowel syndrome. It is also great for dogs that need to lose some weight! My dog loves this and it's a good product for her pancreatitis. Really great food for my dog.